About Glenn | Run Spud Run! 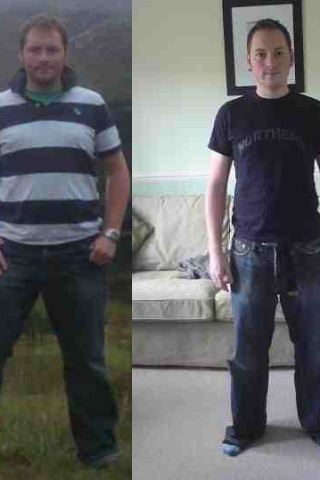 I did weight watchers online to lose weight you can see my story on that here and the advert I did. I wanted to do the advert as not many blokes get featured in these ads and wanted to maybe inspire others that they can too lose weight. As you can see, I put a lot of that weight loss also down to getting active! You can usually find me running around Edinburgh. I take my trainers everywhere I go, on holiday, on day trips, to work, everywhere! I run because I love it, I love seeing new places, discovering new trails, running in the country and experiencing the views the road/trail takes me. I’ve recently got into triathlons and absolutely loving the challenge! I completed Ironman UK after a hellish training plan that was plagued by injury. Endurance events have become my thing so I did my first Ultra in 2015 and now I’m into SwimRun. Anything that gets me outside and active makes me tick. Read on, follow me on Twitter and Instagram. Let’s connect! Great Blog Glenn…I did the Slateman in 2014 too and stumbled across your blog through that. Had a look through some of your previous posts and seems you had some knee trouble whilst training for Ironman. I have the same problems especially uphill over the longer distances and also have IT band issues in the same leg. Did you get to the bottom of the knee problem and could you offer any advice? Hi Steve, thanks for reading. The Slateman was a toughie but awesome! My knee problems was a conundrum and really my only explanation of getting better (if I am better) is down to strengthening the legs, glutes, core by doing gym work, squats and leg press as well as a weekly dose of Pilates. I’m not 100% sure of what was wrong with my ITB, potentially caused by a tear midway up which caused a shortening of the ITB where ITBS was brought on through excessive use though this is just assumptions as the MRI I had on my knee and only knee was inconclusive which lead me to think it was the actual band..
My Right Knee was a patella tracking issue, again caused by tight ITB but then I think also weak adductors. Thanks for the advice Glenn. I’ve been to see a couple of physio’s and they are saying similar things (Core, Hip Abductors, Quads for better stability and control) For the time being I seem to be relatively free of any serious problems. I think i’d also benefit from some Yoga / Pilates sessions. I had a look at the twitter link also which looked interesting. Great read Glenn, I too started running to lose weight but now I can’t get enough of it. I only started in March, I’ve signed up for the Dublin half and full marathons and a few adventure races along the way. I liked your read on the Dublin marathon. Would like to try for an ironman myself but I think that’s a long way off lol. Hiya – such an inspiring blog!! I’ve just started getting into running properly and can’t imagine keeping this many hours of training going without collapsing! I was looking through your blog as I am a post-graduate student at UCD undertaking research into the experiences of blogging on social media. I would love to get in touch and talk to you about being involved in this research although I appreciate that you are extremely busy. If you would like any further information about my work, please let me know and I look forward to hearing from you.